男士羊毛西装套装 Signature Wool Suits 打折后 $73.50 起价(原价$895）, Superfine Merino Wool. Macys.com now they have dropped the price on these Michael Kors Solid Classic-Fit Stretch Dress Pants down to just $29.99 (regularly $95). There are 4 different color options to choose from. Choose free in-store pickup. For a limited time only, Jos. A. Bank now they are offering an extra 60% off select already reduced clearance items – no promo code is needed and the prices listed reflect the savings. Through April 15th, on Macys.com where you can save 70 – 85% off select men’s suits & separates during the Men’s Designer Suiting Event! Even better, today, March 31st only, save an extra 15 – 20% off select departments AND score free shipping on orders of $49 or more when you use promo code SALE at checkout! Tommy Hilfiger Men’s Slim-Fit Stretch Corduroy Sport Coat $29.99 (regularly $295), Use promo code SALE (15% off). Final cost $23.99! On Macys.com where you can get an extra 25% off any purchase or 30% off $100 purchase when you use promo code ESCAPE at checkout valid on select regular-priced, sale and clearance items. 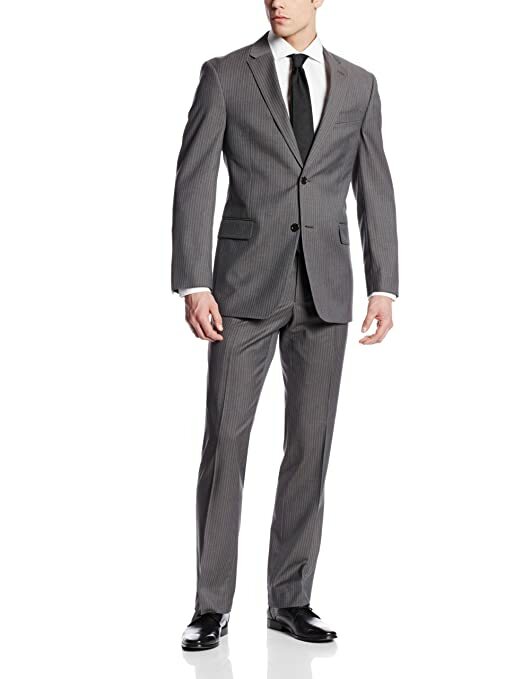 Calvin Klein Men’s Extra Slim-Fit Gray Sharkskin Suit $129.99 (regularly $650), Use code ESCAPE (30% off $100), Final cost $90.99! Calvin Klein Men’s Slim-Fit Dark Gray & Blue Plaid Suit $129.99 (regularly $650), Use code ESCAPE (30% off $100), Final cost $90.99! Through July 15th, go to Macy’s.com where select Men’s Kenneth Cole Reaction Suits are on sale for just $99.99 shipped (regularly up to $425).